Located in the West Fargo off of I-94 we service the following communities: West Fargo, Horace, Fargo, Moorhead and surrounding areas. The shop takes pride in being up to date, clean and as efficient as possible to get your vehicle in and out as quickly as possible. Your car is vital to your daily life. When your car isn’t running smoothly, it’s likely that your life won’t be running smoothly either. That’s why we work hard to keep your car in excellent driving condition, and we take care of repairs quickly to get you back on the road and back to life. Auto Doctors Automotive Repair in West Fargo, ND is a family-owned and operated full-service automotive repair facility. We’ve been part of the Fargo community for over 10 years, delivering high quality work with a smile. Our friendly and knowledgeable staff will help you get your vehicle running perfectly and keep it that way. In addition, Auto Doctors Complete Auto Care’s goal is to educate our customers about the importance of a preventative approach to auto repair, a proven way to save thousands of dollars over the life of each vehicle in a household. We carry that education beyond preventative services, too, and strive to make sure that every customer makes an informed decision about their car’s repairs. Whether your vehicle is in need of repairs or scheduled maintenance, Auto Doctors Complete Auto Care is the best place to come for quality, service, integrity and prices that will get you back on the road, quickly and affordable. Federal law states that new car dealers can’t deny you warranty service because your other routine scheduled maintenance was performed at your trusted independent repair shop. At Auto Doctors, we have the tools, training and technology to properly handle diagnostic issues for everything from a Check Engine light to an ABS Warning light. 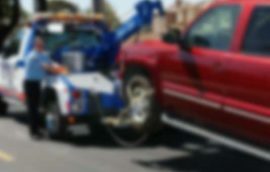 Auto Doctors Towing & Auto Repair employs drivers who are extensively trained in safety and have a diverse knowledge of most vehicles they come across, ensuring you get back on the road as quickly as possible. Auto Doctors is your complete West Fargo / Fargo / Moorhead auto mechanic. We specialize in taking care of our neighbors, one car at a time. Owner Christopher Schmidt train all of his employees to meet high standards of honest and ethical work. 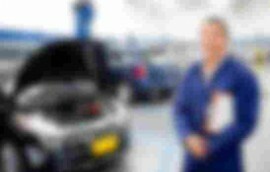 Our staff is able to offer a higher quality service, at a better price, with shorter down-time than any other place that you can take your vehicle.